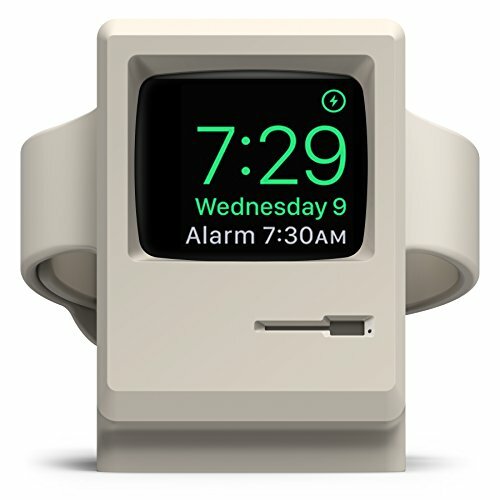 Macintosh Apple Watch Stand - Moar Stuff - You don't need it but you know you want it. 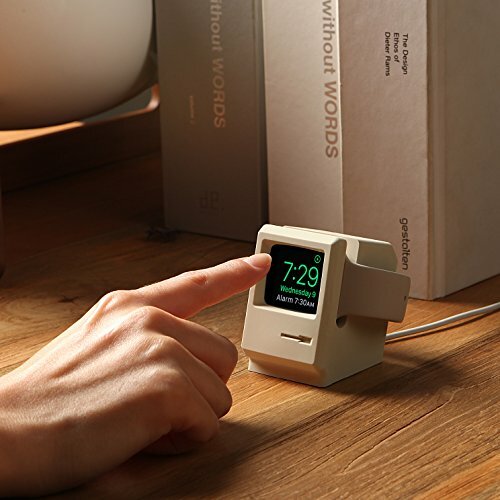 This Macintosh Apple Watch Stand makes your brand new Apple Watch look just like a miniature version of the Original 1984 Macintosh, complete with floppy drive slot. Your Apple Watch charges inside the stand and the screen of the watch lines up perfectly with stand. When charging, Nightstand mode is available and your watch can be used as a bedside clock. Use the stand and experience nostalgia like never before! 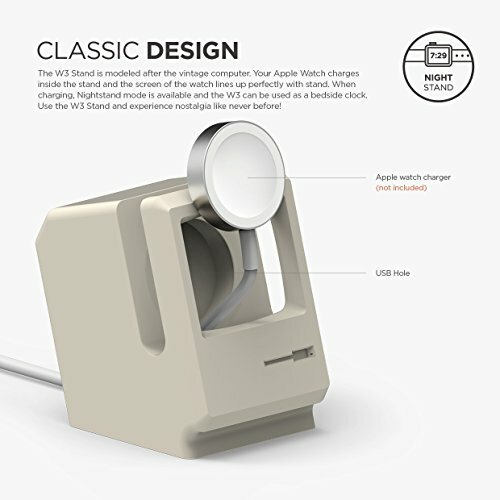 If you’ve been an Apple fan for a long time, this stand is the perfect beside companion for you! 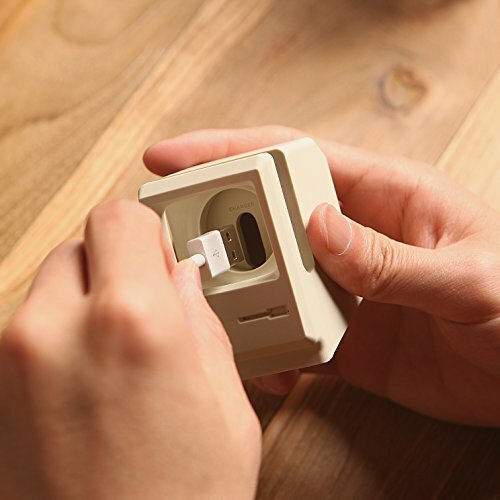 Just thread your watch charger into the silicone body and place your watch inside. It’s that easy. 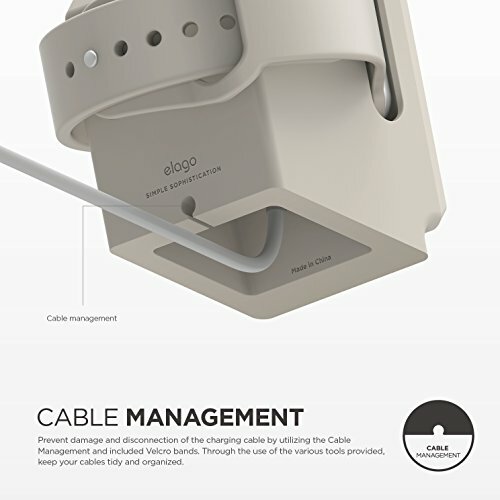 The stand keeps your charging cable tucked away and helps prevents damage to your cable while it does its part to organize your area. Is there a better way to keep your expensive Apple Watch safe and charged at the same time? Oh, while not as authentic, there’s also a black version of the stand for an extra dollar. Dimensions 1.8 x 2.5 x 2.6 inches. 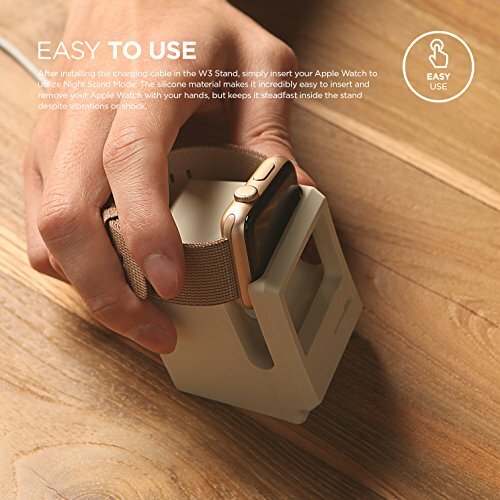 Material: Made from scratch-free silicone to prevent damage to your Apple Watch and to prevent it from moving around when resting on a surface. 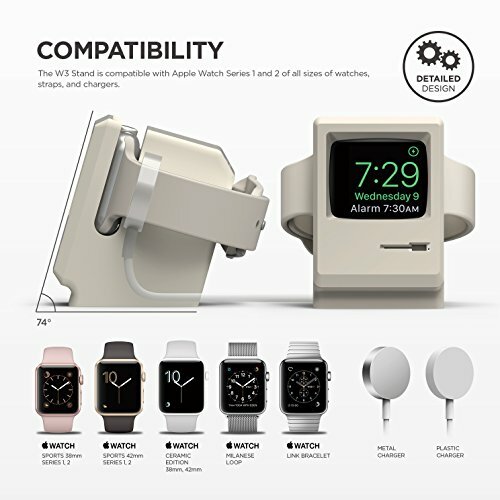 Compatible with all series of Apple Watch: Watch, Sport, and Edition. 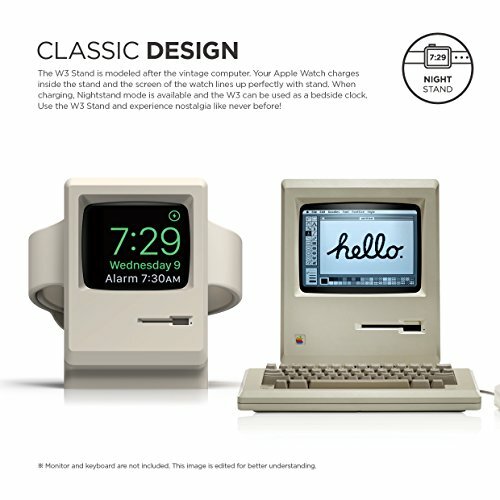 Yes, the Apple watch has more computing power than the original Macintosh.